With simple accessories, you can achieve a decorative look and functional use too. If you need to change your home décor, you don’t have to spend too much or to change your furniture. You can only have a new decorative and functional wall curtain and you will live the charming atmosphere yourself. First, you need to take the wall measurements to decide the right size you need. Then, you have to keep in mind the purpose and the room where the wall curtain will be located. The shape and purpose of kitchen curtain will definitely be different from the bedroom one. If the purpose will only decorative, you will have endless choices you can have a light material with decorative designs. But if you need it for a specific purpose, beside the decorative factor, it is completely a different story. In other words, if you need it to control some items like, lights, or “climate conditions as heat or cold weather”. You will have to remember that before buying. There are heavy materials that will let you control the lights spread inside the room like a block out curtain. At the same time, you can go for some creative ones which are specified for the weather conditions like thermal curtains. 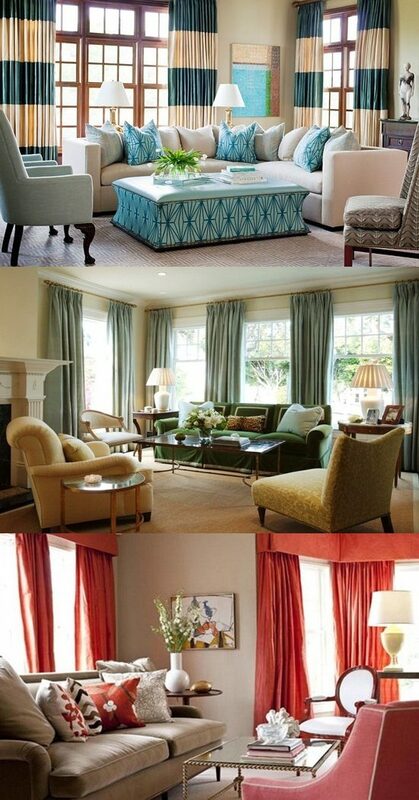 The last factors are the color, designs and the accessories of the curtains. You need to choose the designs that match your room style, never choose something weird which will clutter the wonderful change you desire. Then, choosing the right color as you dream is essential to do it correctly. You can go for two ways, one is to match the curtain color with the whole room colors or another creative way is to contrast it with the room colors which will add a charming look. Complete then the wall curtain look with its decorative accents.